Just unveiled at CES 2012, the new Sony Xperia S is an Android 2.3 smartphone with a HD display, boasting a resolution of 1280 x 720 pixels. It's one of the first mobiles to come from the firm now it's going it alone without Ericsson.The new Sony Xperia S is an Android smartphone that delivers a stunning viewing experience with a high resolution screen - features with a 4.3-inch HD Reality display with Bravia Engine delivering 1280 X 720 pixels of resolution at 342PP, supports playing videos including: MPEG4, H.264, H.263, WMV. That would be a great enjoyment if watching videos with the new sony Xperia S on the move! The new Sony Xperia S is with a large HD screen, just need to rip your favorite DVD movies to videos that supported by Sony Xperia S, then you can freely watch the DVD movies anytime and anywhere. What's more, you can keep the original DVDs safe. Will it be a difficult or hard-to-understand ripping process? 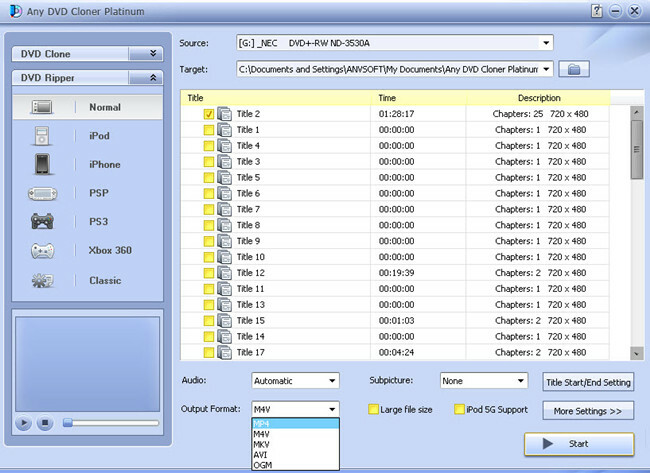 Definitely not if you have the DVD to Sony Xperia S Ripper - Any DVD Cloner Platinum! 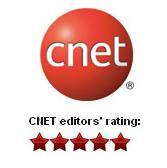 You can rip your favorite DVD movies to Sony Xperia S as easy as 123. 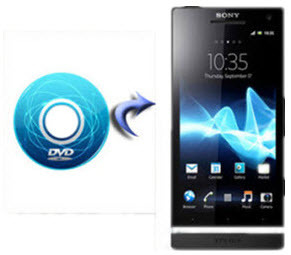 Ripping DVD movies to Sony Xperia S with Any DVD Cloner Platinum only takes a few steps. It is easy from the first time. Step 1: Insert DVD into DVD burner and launch DVD to Sony Xperia S Ripper, DVD to Sony Xperia S Riper can recognize the your DVD burner path automatcailly, then click "Open DVD" button to load the DVD stucture. 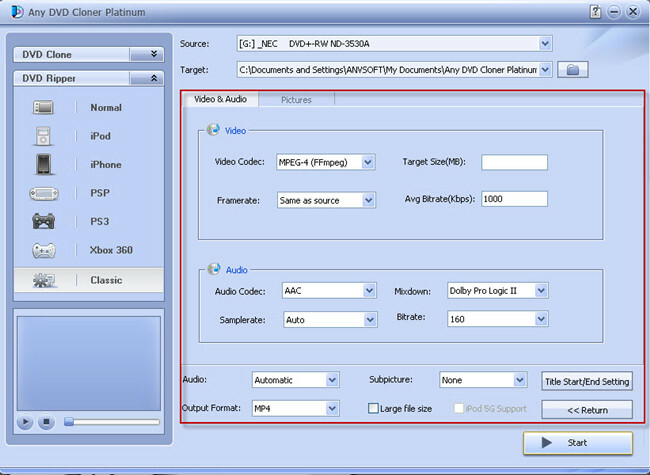 Select "Classic" mode so .MP4 could be selected as the output format, which is supported by Sony Xperia S.
Note: MKV,MP4 and M4V also can be selected for playback on other portable players. Step 6: Transfer the MP4 video file to Sony Xperia S and enjoy the movie!